French astronomer Charles Messier (1730-1817) devoted most of his astronomical life to the search and observation of comets of which he found and observed a considerable number. But his enduring fame is more related to the deepsky objects, i.e., clusters, nebulae, and galaxies, he discovered, observed, and cataloged. Apparently, he first took these objects as uninteresting entities which were fooling him when looking for comets, the objects he was really interested in, and wanted to list them so that future observers would no more be fooled. Another reason was that he got used in carefully recording all the celestial objects he observed. Here we give account of his observations of the nebulous objects. Messier's first reported observation of a deepsky object occurred in the year 1757, when he reports to have observed M32, a companion of the Andromeda galaxy; he must also have seen the "Great Nebula" M31 latest on this occasion. This observation occurred about the time when he started to search the skies for Comet Halley, which was expected to return in 1758 to 1759. During that time, he found and observed another, less famous comet, comet 1758 De la Nux. In the course of observing that comet, on August 28, 1758, he discovered a nebulous patch resembling a comet so much that the 28-year-old Charles Messier thought to have found another of these objects. Evidently, it turned out that this patch was not moving, and was thus indeed not a comet, but a nebula. He measured its position on September 12, 1758, and it later became the first entry in his famous catalog, Messier 1, or M1. This object later turned out to be one of the most interesting objects in the sky, the remnant of the supernova 1054, now commonly called the Crab Nebula. He did only learn in 1771 that this nebula had been discovered as early as 1731 by John Bevis. It was this first discovery of a comet-like nebula which triggered Messier to both looking for comets with telescopes, thus "inventing" comet hunting, a new discipline of astronomy in these days, and to compile his catalog of nebulous objects which might be taken for comets. On September 11, 1760, he discovered his second "nebula," later cataloged as Messier 2, or M2. Messier soon found that this nebula had been seen by Jean-Dominique Maraldi exactly 14 years earlier. He plotted this "nebula" on his chart of the path of comet Halley. This object, which he described as a "nebula without stars," is actually a globular cluster, composed of about 150,000 stars. These observations occurred more or less by chance when Messier was doing "other" astronomical business, in particular looking for comets. It was perhaps the discovery of his third "nebula" on May 3, 1764, which should become No. 3 (Messier 3, M3) in his catalog, and his first original discovery of a deepsky object, which caused him to undertake a serious scan of the skies for these objects which could easily and frequently fool comet discoverers. Alternatively, it may be that he was caused to undertake this effort due to other reasons, and M3 was his first discovery within the course of this endeavor: At this time, Le Gentil's memoir of 1759 on the nebulae was going to be printed, and it may well be that Messier had knowledge of that and was perhaps influenced, or he had just seen the catalogs in Delisle's library. Within his search for nebulae and star clusters, Charles Messier undertook both own, independent surveys of the sky, leading to 19 original discoveries in the year 1764, and looked up all the objects in all catalogs he could get access, including: Edmond Halley's list of 6 objects, the catalog of William Derham, who chiefly had extracted from Johan Hevelius' Prodomus Astronomiae, which was available in a French translation by Pierre de Maupertuis, Lacaille's Catalog of Southern "Nebulae" of 1755, as well as lists of Maraldi and Le Gentil. Le Gentil also refers to De Chéseaux's observations, but Messier did very probably not have access to that astronomer's list. He cataloged the objects M3 to M40 this year, and looked for several non-existent nebulae from the older catalogs - certainly without success, but this explains, e.g., why the double star M40 entered his catalog. Early in 1765, he found the star cluster M41. For three years, he was busy with other activities and did no work on the catalog of nebulous objects. Then, in early 1769, Messier must have decided to publish a first version of his catalog, perhaps in the course to compile materials needed to support his ambitions to be elected to the French Royal Academy of Sciences. In order to increase the number of objects, he cataloged the well known objects M42--M45 (Orion Nebula, Praesepe, and the Pleiades), on March 4, 1769. The reason for this enlargement may be that he wanted to present the most comprehensive catalog to that time, and thus beat in number Lacaille's catalog of 42 objects, which he had fallen short by one up to that date. This assumption is augmented by Messier's remark in the introduction to that catalog, that he wanted to present a catalog which was, among others, "more complete" than previous works. On February 16, 1771, he eventually presented the first version of his catalog to the Academy of Sciences; this was his very first memoir presented to the academy - it should be followed by a large number of memoirs deeling with other items of astronomy. In the catalog, Messier carefully describes his observations of each object, as well as earlier discoveries and observations by former astronomers as far as they were known to him, and gives positions for each object. As an appendix, he attaches a list of presumable nebulae reported by earlier observers which he had not been able to find, as well as a more extensive description and a careful drawing of the Orion Nebula, M42 including De Mairan's Nebula, M43. The first version of Messier's catalog contains and summarizes almost all deepsky objects which were known previously, and observable from the nothern latitude of Paris, as well as 29 personal independent findings, of which 18 are original discoveries by Messier. Of the 45 objects, it was later found that 33 are star clusters (19 open and 14 globular clusters; two of the open clusters are associated with nebulae), 7 nebulae (5 diffuse star-forming nebulae, 1 planetary nebula, 1 supernova remnant), 3 are galaxies and 2 "other" objects (1 star cloud - M24 and 1 double star - M40). The most prominent as well as apparently brightest and largest of these objects are, in this sequence for brightness, the Pleiades (M45), the Andromeda "Nebula" (M31), the star cluster Praesepe (M44), the Orion Nebula (M42), and on rank 5, open cluster M7 in Scorpius; Brian Skiff (2002) has reported a total of 29 of these 45 objects to be visible to the unaided eye under excellent viewing conditions. By far the faintest and most difficult of the objects are De Mairan's Nebula M43 (eased by the proximity to its prominent neighbor, M42), double star M40 and the very first object, the Crab Nebula M1; perhaps a hint that the Crab Nebula may have been somewhat brighter at that time, a suspicion which coincides well with theory and observations that supernova remnants fade with time. M40 is the only of these objects which subsequent astronomers had difficulties to identify for about 180 years: While both the object and the position were correctly described by Messier, it was only in 1966 that John Mallas identified this pair of stars. Three nights after the presentation of his catalog, on January 19, 1771, Charles Messier observed and measured four more nebulous objects, M46--M49. For two of them, however, M47 and M48, he didn't proceed with the usual care, and did mistakes in the reduction of positional data, so that they were missed until their 20th century identification. M49 was moreover the first Virgo Cluster galaxy discovered. All four were independent discoveries, and all but M47 original discoveries by Messier. In the years following, private circumstances as well as other activities and interests prevented him from doing much work on nebulae and clusters, and only few discoveries dropped in as by-products of other endeavors, in particular comet observing. On June 7, 1771 Messier discovered M62, but only measured an approximate position, so it was not before 1779 that he included this "Very Fine Nebula" in his list. In the course of observing a comet (1772 Montaigne), Messier found another cluster, M50, which he added to his catalog on April 5, 1772. On August 10, 1773, he discovered the second bright companion of the Andromeda "Nebula", M110, but due to unknown reason did never catalog it, and published the discovery only in 1798 (in the Connaissance des Tems for 1801). He reports to have found M51 on October 13, 1773. Open cluster M52 followed on September 7, 1774. It lasted until February 26, 1777 until he discovered the next object, M53, a globular cluster which had been originally discovered two years earlier by Johann Elert Bode. Messier found two more "nebulae" (actually globular clusters), M54 and M55, on July 24, 1778. While M54 is his own original discovery, M55 had been discovered by Lacaille and cataloged by him as Lac I.14, and Messier had looked for it without success on July 27, 1764, probably because of the inferior instruments he had used, and perhaps less experience he had had, at that earlier time. Following the discovery of the comet of 1779, which was originally discovered by Bode on January 6, 1779, and independently found by Messier 13 days later, on January 19, 1779, Messier and other observers found a number of new "nebulae" along the apparent path of that comet. Following this comet until May 19, messier observed six objects, M56--M61. He found M56 on the day when he co-discovered the comet, January 19, 1779, and on January 31, he found M57, the Ring Nebula, which had been found previously in the same month by Antoine Darquier. There was a modest discovery "outburst" when the comet passed Virgo and the Virgo cluster of Galaxies, and was observed by Messier, Johann Gottfried Koehler from Dresden, and Barnabus Oriani in Milan. Charles Messier originally discovered M58 and found M59 and M60 on April 15, 1779. He also stumbled over M61 on May 5, 1779, but took it for the comet, which happened again on May 6; only on May 11 he realized that this was a nebula. M59 and M60 had been discovered by Koehler on April 11, 1779, 4 days before Messier's sighting, but Koehler had overlooked M58. Oriani had been the first to identify M61 on May 5, the day Messier had found but not identified it. On June 4, 1779, Messier eventually took a good position for M62, the "nebula" (actually, globular cluster) he had found in 1771. 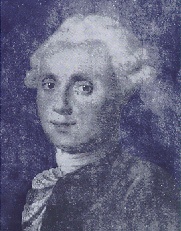 On June 14, he observed and obtained a position for M63, the first discovery which had been reported to him by his colleague and friend Pierre Méchain, whom he had known at least since 1774. His next additions to the catalog occurred on March 1, 1780 when he found and cataloged M64, M65, and M66. While, unknown to Messier at that time, M64 had been found by Edward Pigott (March 23, 1779) and 12 days later by Johann Elert Bode (April 4, 1779) almost a year earlier, perhaps when observing the comet of 1779; M65 and M66 are original discoveries by Messier. On April 6, 1780 he found open cluster M67, not knowing that Koehler had seen this one earlier, and on April 9, M68. This completed the second version of Messier's catalog of nebulae and star clusters, as it was printed in the Connoissance des Temps for 1783, in 1780. This second catalog contained objects significantly fainter than the first version of 1771, showing the increased sensitivity of Messier's instruments and probably, observing experience. The faintest objects in this version of the catalog were Virgo Cluster galaxies M58 and M61 at about visual magnitude 9.7. Of the 23 "new" objects in the second catalog, M46 to M68, all but two had been independently looked up by Messier, only M55 had been found earlier by Lacaille, and M63 had been reported to him by Méchain. Of the 21 independent Messier findings, 14 had been original first discoveries. Of the 23 new objects, 6 are open and 6 globular clusters, 1 new planetary nebula (M57), and 10 galaxies, 5 of them members of the Virgo Cluster. Skiff (2002) reports the naked-eye visibility under excellent conditions for 5 of these 23 objects. Messier's next two discoveries occurred on August 31, 1780, when he found M69 and M70, two globular clusters in southern Sagittarius. These two objects just made it to an announce in the appendix of the Connoissance des Temps for 1783. Both globulars are original discoveries by Messier, but the Frenchman thought that M69 was identical to Lacaille's "nebula" Lac I.11, which he had looked for without success in 1764. In the following, Messier teamed up with Pierre Méchain in a vigorous effort to increase the number of cataloged nebulae and star clusters. By the end of the year 1780, Messier had collected the entries up to M79, and up to April 1781, the list of nebulae and star cluster had increased to 100 objects. Most of the objects M71 to M82 had been reported to Messier by Méchain, and reobserved and their positions determined by Messier when adding them to his catalog; the exceptions are M73, a group of four stars observed by Messier when measuring M72, and M80, which was first discovered by Messier and independently found some time later by Méchain. M81 and M82, found by Méchain in August 1779, had been discovered by Bode already in 1774. On February 17, 1781, Messier found the "nebula" M83, which had been discovered by Lacaille in 1752 (Lac I.6), and which he had not been able to find in 1764. On March 4, 1781, Pierre Méchain discovered M85 in the Virgo Cluster of Galaxies, which he reported to Messier. Messier undertook an extensive investigation of that region of the sky on March 18, 1781, and in that night, cataloged as many as nine new objects, eight of them Virgo Cluster galaxies (M84 thru M91), and the "nebula without stars" (actually, globular cluster) M92 in Hercules. All but M85 were original Messier findings, but M92 had already been seen by Bode in 1779. Messier notes the concentration of "nebulae" in the Coma-Virgo region in a remark after M91 in his catalog, the first documented notion of the Virgo Cluster. All these "nebulae" were measured good enough so that they can be easily identified with Virgo Cluster galaxies, with the exception of M91, for which he probably did a data reduction error, so that this object was missed until its identification in 1969 by William C. Williams. Messier found M93 and checked Méchain's discoveries M94 to M100 until April 13, 1781. Without assigning an own number, he also added a note to the description of M51 on Méchain's discovery of that galaxy's companion, NGC 5195. This is one of the rare cases in which Messier created a drawing which is still preserved: His personal copy contains a sketch of the two nebulae whose "two atmospheres touch each other," M51 and NGC 5195. At that time, deadline approached for contributions for the yearbook, Connoissance des Temps for 1784, where the new version of the catalog should be published. Hastily, three more objects observed by Pierre Méchain, M101--M103, were added without personal validation, to get the catalog ready for its final publication in 1781. This final printed version of Messier's catalog eventually contained 35 new entries in addition to those in the second version. Of these, most had been contributed by Pierre Méchain, who had looked up a total of 22 of these objects, which he had reported to Messier who had measured the positions of all but the last three, while Messier had independently found 12, and eventually found one object discovered by Lacaille (M83). Of Méchain's findings, 18 had been original discoveries, one had been seen in 1745-46 by De Chéseaux (M71), and two had been previosly found by Bode in 1774 and by Koehler before 1777 (M81 and M82). Of Messier's 13 discoveries, 12 had been original, and one object had been seen previoously by Johann Elert Bode in 1777 (M92). As this edition of the catalog appeared only a year after the previous one, it does contain objects to about the same limiting magnitude, as instruments and experience did not change too much in that one year, the faintest objects being of 10th magnitude: M108 of visual mag 10.0, M76 and M98 of mag 10.1, and M91 of mag 10.2. Only four of these 35 objects are reported to have been seen with the naked eye under exceptional conditions by Skiff (2002), two of them questionable. Very shortly after publication, on May 11, 1781, Messier added M104 to his personal copy of the catalog, as well as positions for the hitherto undetermined objects M102 and M103. This indicates that he had probably observed the unverified objects M101, M102 and M103 shortly after publication of the catalog. A look to Messier's personal matters shows that he had listed two more nebulae, discovered by Méchain and mentioned in the catalog with M97, which are now known as M108 and M109. These facts, together with personal observation notes dated up to the year 1790 indicate that Messier was using his personal copy of the catalog for a number of years, and was probably planning to bring out a revised version in about 1790. Three more objects have been added to the modern Messier Catalog; they have been listed by Méchain in his letter of May 6, 1783 to Bernoulli of the Berlin Academy. These objects are now known as M105--M107. M105 is one of Méchain's discoveries of March 1781, which had been overlooked and missed the final catalog. M106 was Méchain's discovery of a further nebulous object in July, 1781, and M107 was discovered by him in April 1782, and thus became the latest discovered Messier object. In that letter, Méchain also mentions the objects M104, M108 and M109, and disclaims the discovery of M102, a disputable claim as both his description and - up to a reconstructable data reduction error - Messier's position match well with an existing object, NGC 5866. Méchain also reports of further nebulae in the Virgo Cluster region, but without more details given, these objects must be considered lost. Of the 110 objects in the modern Messier catalog, Messier himself had independently found 64 or 65 (depending on how the M102 issue is to be solved), 44 of which had been original discoveries. Méchain had contributed 28 or 29 independent findings, including 24 or 25 original discoveries. 18 objects had been picked up from earlier sources, and 23 more had been seen earlier by other observers. Of the 110 objects, 40 are galaxies, 29 globular and 27 open clusters, 6 diffuse and 4 planetary nebulae, 1 supernova remnant and 3 "other" objects (star cloud M24, double star M40, and the group or asterism of 4 stars, M73). William Herschel's sucessful search for thousands of clusters and nebulae with superior instruments, commenced in 1783, may have caused him to concentrate on other projects, knowing that he could not compete. We don't know if Messier has ever seen one of the objects M105, M106 and M107, as no records of this are preserved. Nevertheless, it seems probable that Méchain had communicated them to him as usual, so it may well be, in particular as his personal notes indicate that Messier was working toward an updated edition in about 1790, and even as late as 1798, he disclosed a plan to bring out a revised version of the catalog including more objects he had observed since the publication of his catalog in 1781. Those may well include these three objects discovered by Méchain. Messier seems to have used his personal copy of his catalog also for a number of years. He reports that he undertook measurements of stars in the open star clusters Praesepe (M44) and the Pleiades (M45) in 1785, 1790, and 1796. His handwritten notes in his personal copy of the catalog indicate a number of observations of about 1790 of nebulae and clusters, presumably in effort to bring out an updated version of his catalog of nebulae and clusters; very probably, this endeavor was eventually prevented by the events around the French revolution. In 1790, he also obtained corrected positions for the Andromeda "Nebula" (M31) and its companion M32, and in 1795, did deeper investigations and created a detailed drawing of the Andromeda "Nebula" (M31) and both its satellites M32 and M110. Charles Messier reports of this late activities in his very last memoir presented to the National Institute of France, which focusses on his investigations and drawings of the Andromeda "Nebula" and its companions. Did Messier observe further objects, further additional Messier objects, or "unnumbered wonders" which have escaped our attention for more than two centuries? This may well be so: As mentioned above, Messier has stated in 1798, in the Connaissance des Tems for 1801, where he outlined plans to publish an updated version of his catalog, that he had observed "still other" nebulous objects, but unfortunately does not give any hints or details which objects this might be. Also, it may well be that some of Messier's journals and notes got lost in the abyss of history, or are still hiding and waiting for their recovery. Therefore, we need to wait if, or until, further documents pop up from their hidden shelters in history to reveal further deepsky objects observed by Charles Messier.